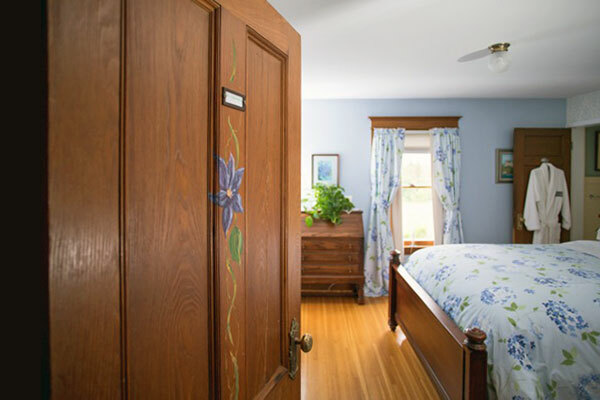 This cozy room is named for the beautiful, large blue clematis that blooms in early spring. 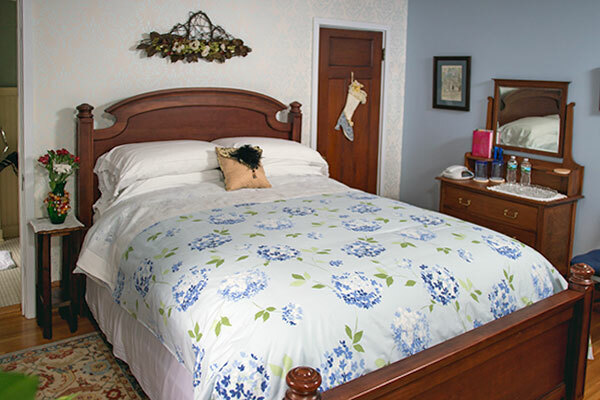 The room features a queen-sized cherry wood bed and an antique oak bureau. A Queen Anne desk graces the room along with an antique chair and a private bath with a restored claw-footed tub and shower. Such a pleasure to stay here! Thank you so much for your hospitality. It means so much that you were so kind to us, especially to Xander our two year old. How amazing that you got him the foods he likes!!! Wow, that pineapple juice was amazing! Thank you so much!